Check out the amazing pre-owned fifth wheels clearance sale here at Bullyan RV! It is going on right now, and you can save thousands of dollars to take one of these incredible recreational vehicles home with you today. Take a look at a few of the models we have available and get ready for huge savings! Get incredible deals on our pre-owned fifth wheels! 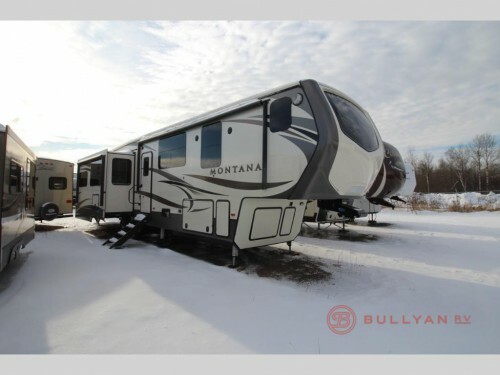 One of the most popular fifth wheels on the market is the Keystone Montana, and right now, you can get this Keystone Montana 3810MS for just $59,900! This triple slide floorplan comes with more space for luxury features than ever before. Enjoy luxuries such as two fireplaces, a kitchen island, all stainless steel appliances, a washer and dryer prep area, and much more! Find floorplans for the whole family with a bunkhouse model. 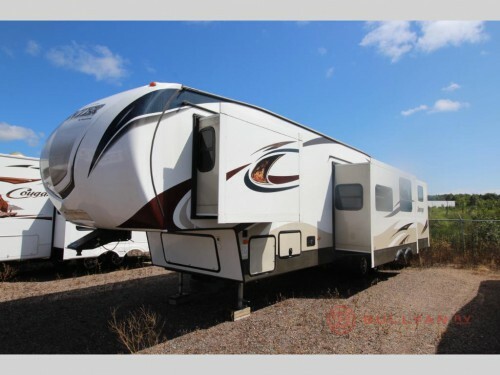 If you have a larger family, you will want to check out this pre-owned Keystone Sprinter 324FWBHS fifth wheel. In this model, there will be enough space to sleep up to 11 people because of the large, rear bunkhouse built right into it. Plus, it will even come with an exterior kitchen area complete with 2-burners, a fridge, and a bumper mount, swing around grill. And for only $30,900, it is more affordable than ever. You’ll love all of our great deals! 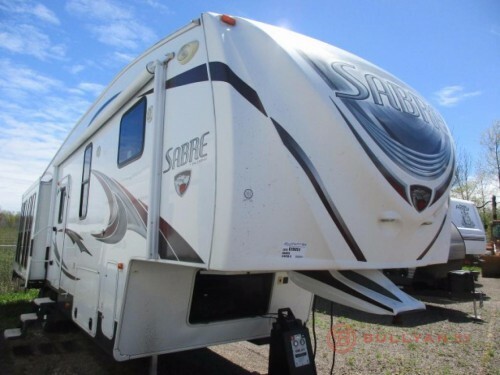 One of the larger floorplans you will find of our pre-owned fifth wheels is this Palomino Sabre 34REQS. Find four slides placed throughout the interior including dual opposing living room slides that will make room for more seating as well as a rear entertainment station with fireplace and electric lift television. And the kitchen with its L-shaped wrap around countertop will be the perfect space for cooking all your meals. Enjoy this model for just $29,900! These are just a few of the many pre-owned fifth wheels we have, and at our clearance sale, you can find big savings to start living the RVing lifestyle. Contact us or stop by our location to see for yourself all of the amazing deals you can find.